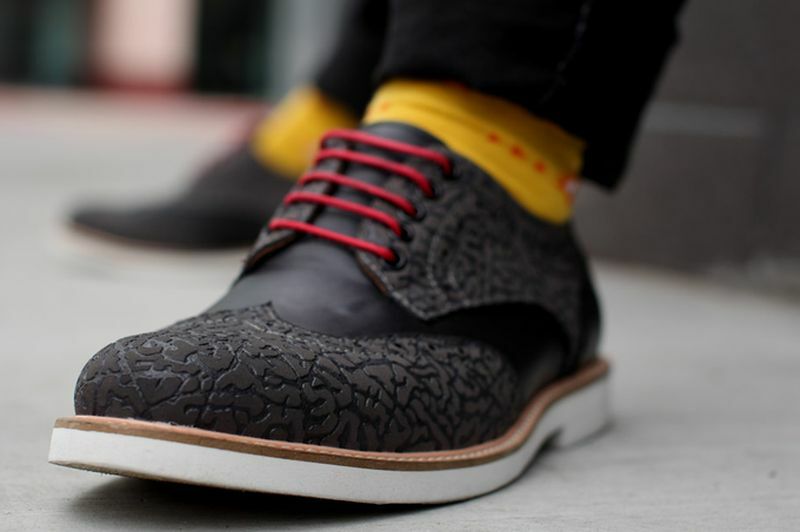 Imagine your favorite dress shoe fused with one of the most Iconic prints to ever touch footwear? 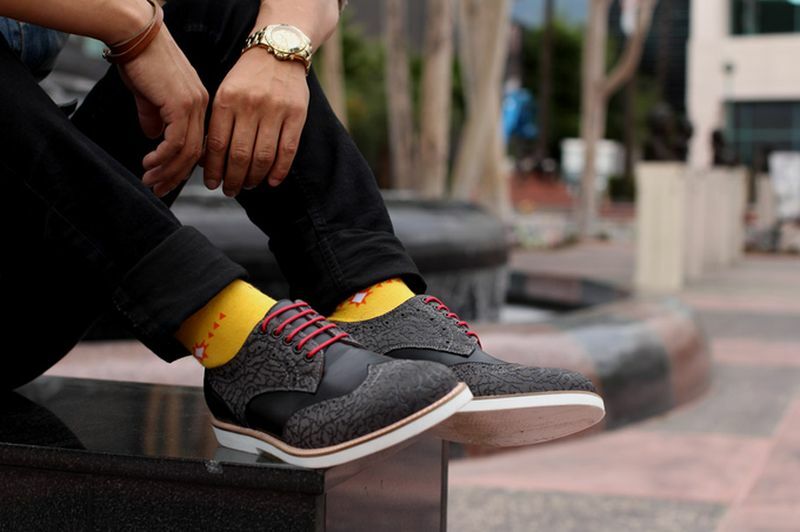 You’d have one of the illest dress shoes of all time. 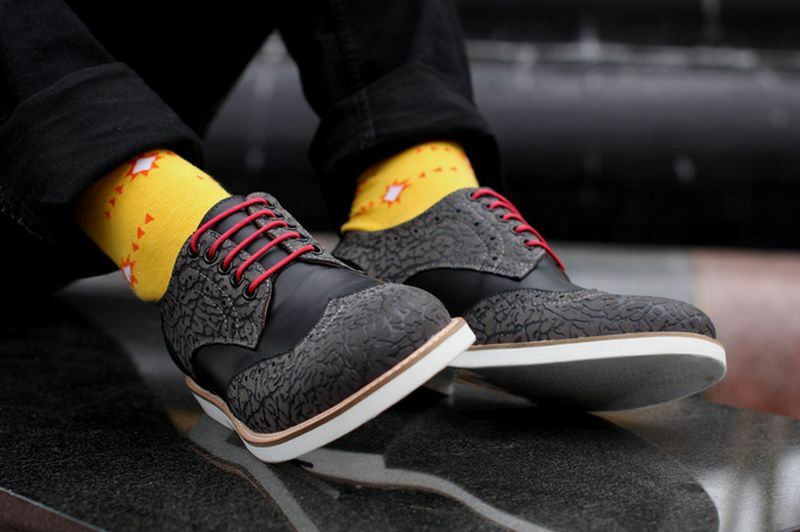 Swaves customs created a special wingtip featuring Elephant Print panels, that add extra character on the favored dress shoe. 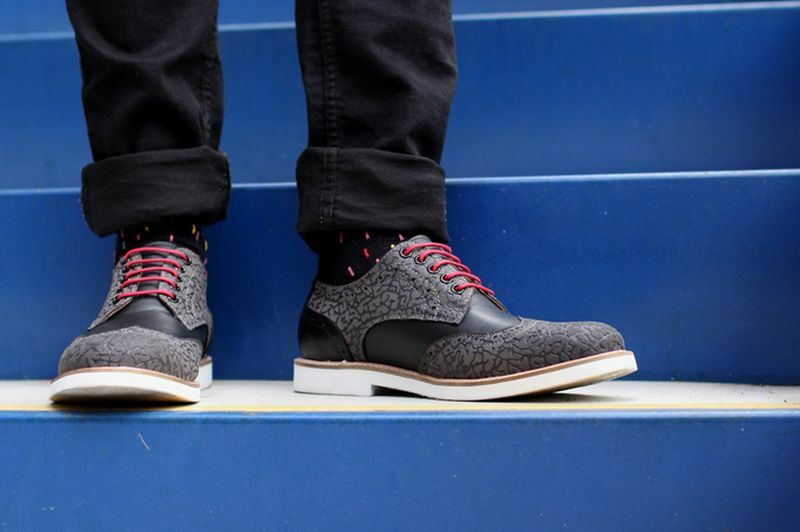 The Tip features black leathers with cement print, while red laces are added for an extra pop. 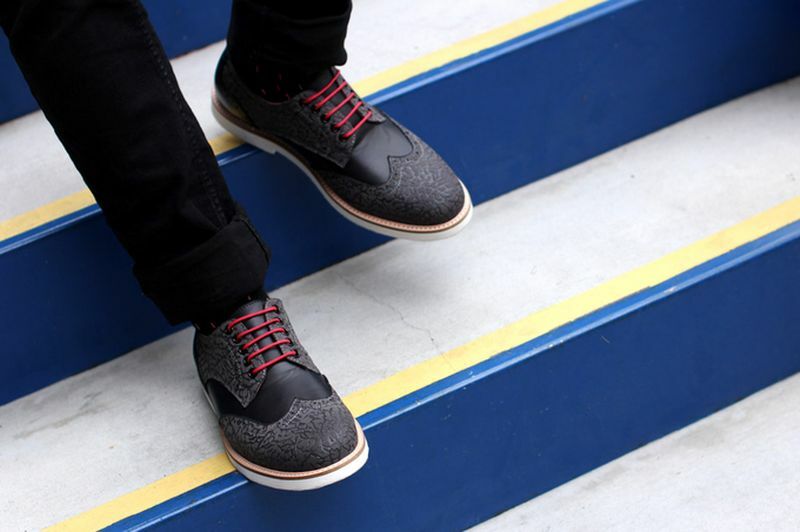 Let us know if you’d pick up a pair of these if JB ever released them. For those interested, there’s only 1 size available so head over and pick them up now.